While Saddleback did not get slammed with snow like the coast did during the January 2015 blizzard, they did pick up a solid foot which freshened things up considerably to say the least. 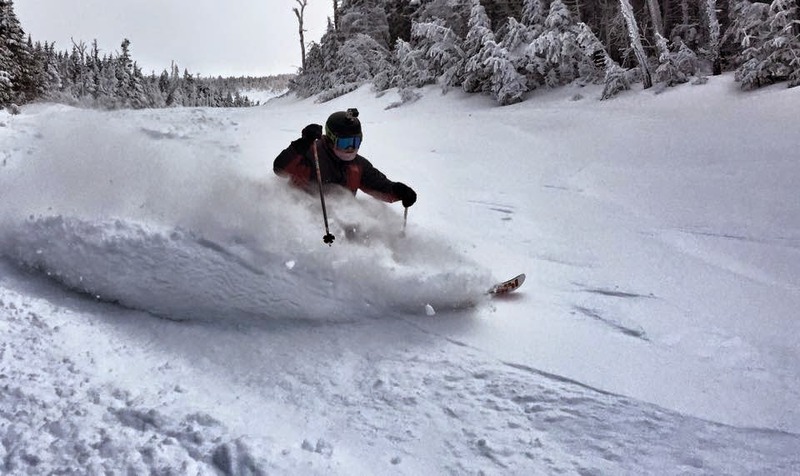 The Freeport school system called off classes for a second day on Wednesday and that meant the @MaineSkiFamily boys and mom had a bonus ski day. Too many things going on at work for the old man. They report that while some of the entrances to trails were blown off due to the high winds during the storm, the snow was deep and fluffy once down the trail a bit. Some of the @MaineSkiFamily favorites like Wardens Worry and Governor skied exceptionally well and all the glades were spot on. Overall a great 'school' day on the slopes! More snow on the way Friday looks like! Get out there and ski in Maine! Here is the video of the day. Skiing Saddleback Powder - January 28th Blizzard Juno from Alec Salisbury Photo & Video on Vimeo. looks good guys. great video. we took the day off and headed to wachusett in central ma who reported 28 inches. we got there early and saw they decided to groom down all 28 inches. still great riding but the best skiing was the 30+ that had blown into the woods. Must of been a bit frustrating to see it all mowed down but at least you got the goods in the woods!